I still have some work to do identifying these birds by their sound, they are fun to watch and even more fun to take pictures of. 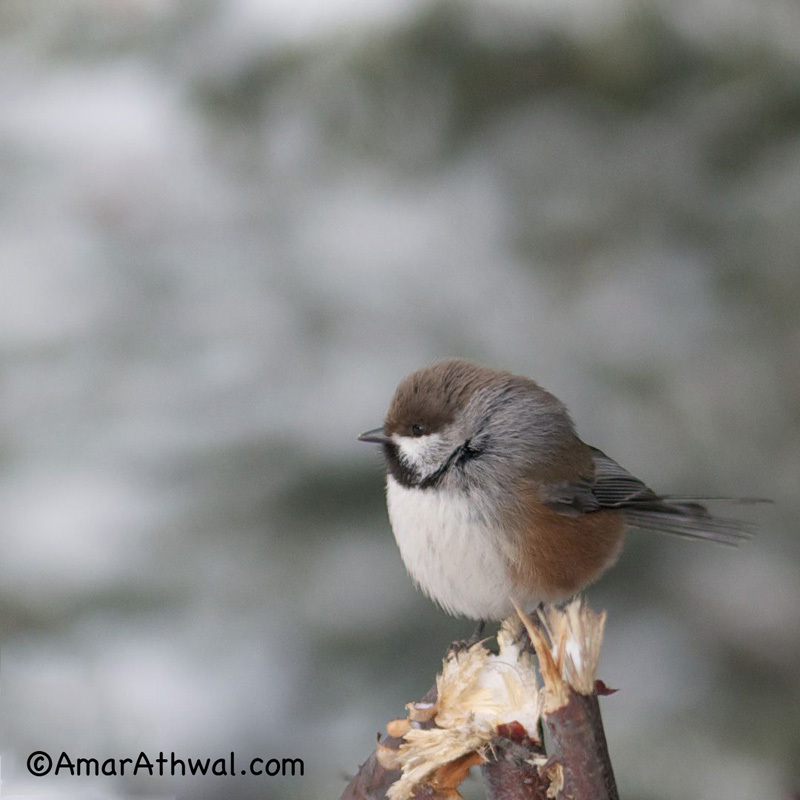 They are the chickadees often found in the mountains out here. They are always on the move, so it helps to have fast lens and try to follow them through the viewfinder to get their picture. Have to go through lot of misses to get some keepers, its fun getting there. Got a Boreal Chickadee at the top, followed by the Mountain Chickadee and Black capped Chickadee at the end.